Each bundle of three packs is worth £60. Lowden Guitars has a well-deserved reputation as a major player in the premium acoustic-guitar business. With undeniably organic-sounding acoustics, featuring stellar woodworking and materials of the highest standard, Lowden’s range caters for the needs of discerning players of all styles. Now, the Downpatrick company has created premium acoustic-guitar strings as a fitting complement to its acoustic instruments. These acoustic-treated phosphor-bronze strings deliver a rare balance of warmth and clarity and are designed to enhance the true character of every fretboard they adorn. Featuring an exceptionally thin treatment which draws out the natural voice of the instrument, the strings offer a traditional feel in combination with extended playability. Lowden’s strings are available in a choice of six gauges, including Extra Light, Light, Light Medium and Medium, as well as sets optimised for baritone guitar and DADGAD tuning. 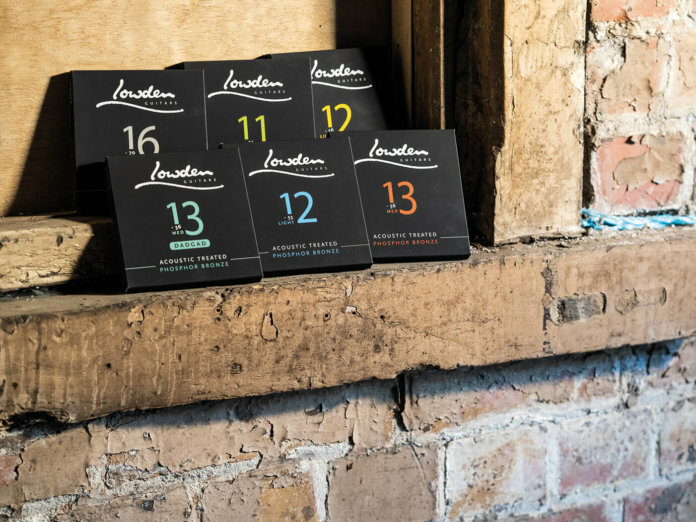 Thanks to our good friends at Lowden Guitars, five lucky readers will win three sets of these new acoustic strings. To find out more about the company’s new premium guitar strings, head over to lowdenguitars.com.